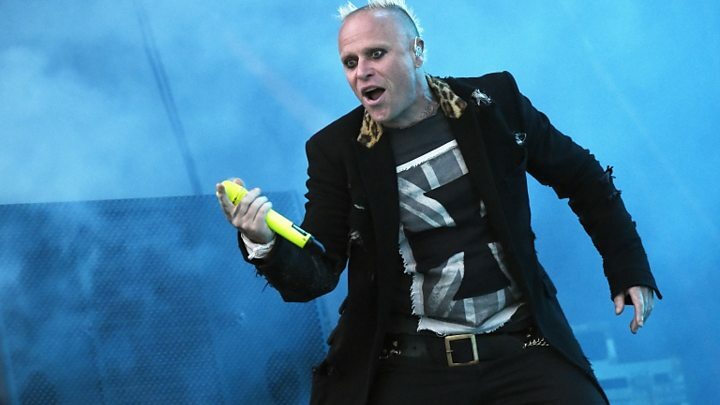 A campaign to build a statue of The Prodigy singer Keith Flint in the band’s hometown in Essex has been started by fans. Flint, who sang lead vocals on the band’s number one singles Breathe and Firestarter, was found dead on 4 March. An inquest into his death opened on Monday and heard a provisional cause of death was from hanging. The band formed in Braintree in 1990. A council spokeswoman said Flint was an “iconic part of our cultural heritage”. A petition to the council states that Flint “was important to not only the people of Braintree, but was well loved and respected worldwide”. Saphya Gower, who began the campaign, said the band’s “music makes me feel alive, indestructible, invincible. I’ll be forever thankful to them”. Flint was born in Redbridge, north-east London , and later moved to Braintree where The Prodigy band first came into existence. A Braintree District Council spokeswoman said: “We were saddened to hear about the passing of Keith Flint, who is an iconic part of our cultural heritage, and many residents grew up listening to The Prodigy’s music.